When is the best time and day to hear from us? 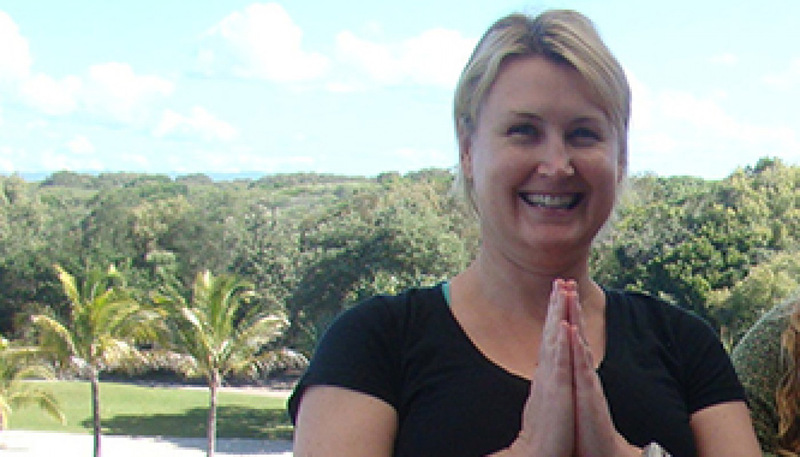 Our weight loss health retreat in QLD on the Sunshine Coast is a comprehensive holistic weight loss and wellness retreat. Chi of Life is a weight loss health retreat in QLD, offering a comprehensive and holistic approach to weight loss and wellness. Read more to learn about our approach. Offer specialist treatment for obesity. *Results may vary from person to person. Contact Gwen today on 0435 125 422 to discuss your weight loss goals. Gwen’s highly successful holistic weight loss health retreat is a complete weight loss, wellness and fitness retreat in Australia. Chi of Life focuses on the process of addressing the mind to overcome underlying issues and implementing the metabolic typing diet to learn what food is right for your unique body. Chi of Life is the only weight loss retreat in Australia that provides individual meals to suit your metabolic type. It includes a live and dry blood analysis to ensure you can make the necessary changes to live a healthy and vibrant life! Our handpicked, expert team and network of leading professionals make Chi of Life the best weight loss retreat in Australia. We want our weight loss retreat to be a sanctuary for cultivating health and wellness. We don’t run our weight loss retreat like the weight loss camps you may see in other parts of Australia. Our holistic approach allows you to develop a positive mindset towards your weight loss goals, and continue them once your stay has come to an end. The Chi of Life program is designed to maximise results for those wanting to lose weight and keep it off. Not only do we focus on the physical aspects of your weight – we also work with you to recognise emotional factors that can trigger weight gain (particularly for people who find it reoccurs after each diet). Our highly qualified Master NLP Therapist will help you identify the causes for your dieting, binge eating and comfort eating tendencies. This will provide you with the tools to manage it when outside of our weight loss retreat, making for long lasting weight loss results. Included in your 20 day stay at our weight loss retreat on the Sunshine Coast is two workshops “Embrace the change” & “Meet your future self” and Private consultations can be arranged at an additional cost. Before coming to you I felt so tired and unwell that I didn’t know where to turn. There was so much information about health and how to achieve it that I found it overwhelming. I didn’t know how to navigate my way through to find what was relevant to help me. I was desperate and felt my GP couldn’t help me sufficiently. His approach was usually too general and too exclusive. I also didn’t want to be prescribed any additional medication until I felt in control of my health. I needed a comprehensive weight loss program that looked at me as an individual and provided practical, cost effective solutions. Your weight loss program was everything I could hope for. You and your fantastic team were so caring and showed me so many different things that I could do to gain energy and wellbeing. Each team member was exceptional in their field. They were authentic, passionate and very inspiring. Especially the live blood analysis, Maria’s expertise and knowledge was life changing for me, to have solutions and answers that will enable me to regain my health. I have fond memories of each one of them that I recall daily. Each part of your program was like putting pieces of a puzzle together. Each piece supported another piece until I got the full picture. I thought I knew a lot about healthy eating and exercise but you showed me that a lot more was available to me, if I wanted it. You educated me on the amazing superfoods I had not heard of them before, but wow I do now and they have made such an improvement to my energy. I also now juice with my cold press juicer every morning together with installing an alkaline water filter. In such a short amount of time you’ve changed me forever. I now know how to prepare healthy meals that taste amazing and how to move my body with fun activities instead of trying to make myself exercise at the gym. But most of all, that I didn’t need to be perfect, that if I just did what I could each day that I would get great results. I only wish I had longer than 2 weeks with you at your weight loss retreat. Gwen you’re the real deal! I’ll be forever grateful for your generosity and intelligence in showing me a better way of being. You’re a very good example of what you teach and I highly recommend your weight loss retreat. To complete our weight loss and wellness program, a live and dry blood analysis is included. This allows us to pinpoint underlying health issues so you can make the changes needed to achieve your goals and maintain your weight loss. We also have a back-at-home support system in place. Our live and dry blood analysis is designed to detect functional imbalances in the body that are known as precursors to disease. We are then able to recommend nutritional changes to improve your health. Excess weight (particularly around the stomach) can be a symptom of other issues and is usually linked to poor digestion. For long term success, your physical foundation needs to be working optimally. When you heal the body, losing weight and keeping it off becomes easier. Viewing your blood live on a monitor helps you connect to your body. It is a powerful tool and acts as the main component of the program. During your time at our weight loss and health retreat, Gwen will set up strategies based on your results that will enable you turn your health and life around. The concept of the metabolic typing diet is very logical, as we already know each person is unique and that the “one diet fits all” solution is not effective for weight loss results. This is why some people achieve good results on a particular diet while others see poor results. At Chi of Life, we’ll find the ideal diet for your body to stay at its peak. Included in your program “The advance metabolic test” done through Candice Soleil an Integrative Dietitian and Certified MT Practitioner. For more information on our weight loss and health retreat in Queensland, contact us today.